This type of restoration covers only the front surfaces, with some of the preparation carrying over to the sides and back sides. 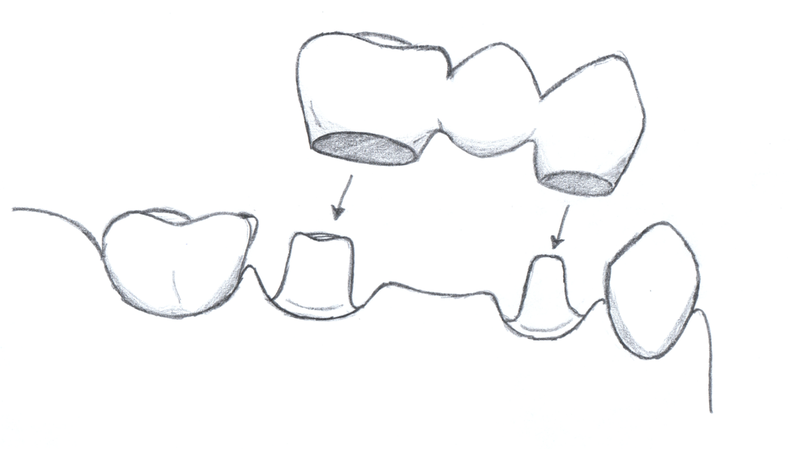 This technique can be used to correct crooked, chipped, or discolored teeth. Veneers can be a great way to create a beautiful, continuous smile, especially if you have had fillings done on the front six teeth that just don't look good or require frequent replacement because of discolorations. The process of placing veneers is irreversible, as it requires removing tooth structure to place a custom, lab-made, tooth-colored restoration. The tooth is prepared, and we make an impression for the lab to create a beautiful restoration. After checking the fit and ensuring that you love your new look, each veneer is bonded to the tooth. This process can take about two weeks to complete for a straightforward case. However, the time frame is dependent on what we are trying to accomplish, and it may take several more weeks to achieve our high standard goals! Crowns are typically recommended when there is not enough tooth structure remaining to support a filling, or to achieve maximum strength and esthetics. 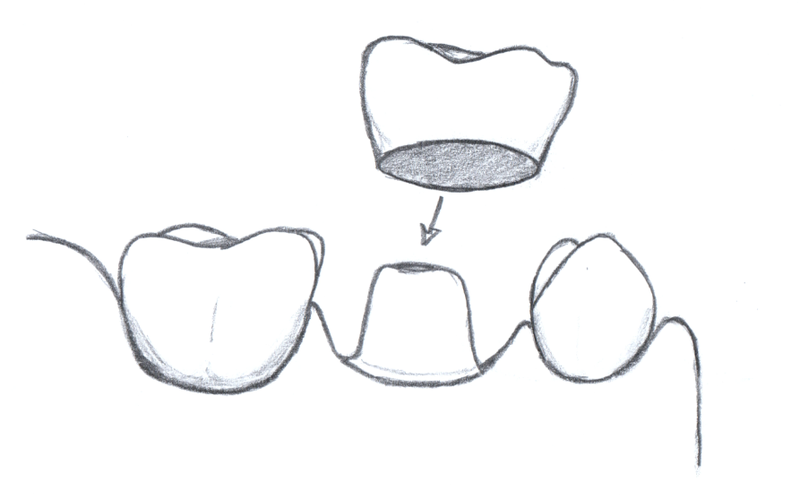 The tooth is prepared for the restoration by removing the outer layer of tooth. An impression is made of the preparation so that the lab can fabricate the restoration. This process of creating a custom-fit crown takes about two weeks for the lab to complete, and we make a temporary restoration for the patient to wear while waiting. When the crown returns, we check the fit of the crown to ensure that it will function as a good restoration, and it is cemented on the tooth. We are with you through every step of the process, monitoring the tooth's reaction to the surgery as well as working to maintain your comfort. 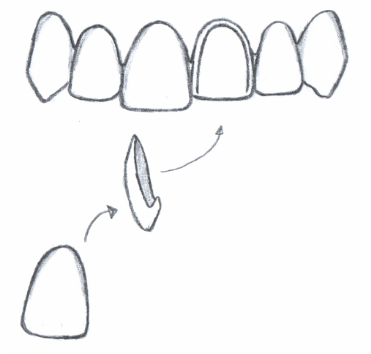 When you have a single missing tooth with two teeth next to the space, one option is to create a "bridge" between those two remaining teeth, placing a fake tooth in the space. This is achieved by preparing each adjacent tooth for a crown, fabricating a temporary restoration, and sending an impression to a lab to fabricate the custom restoration. Bridges can be made from different types of materials, and we will consult with you on which restoration would work best for your circumstances.